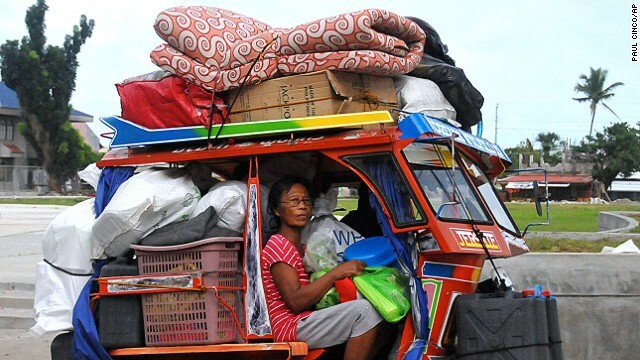 (CNN) -- Still scarred by last year's devastating Super Typhoon Haiyan, residents of the Philippines rushed Friday to stock up supplies and take cover ahead of another potentially catastrophic storm. Super Typhoon Hagupit, known locally as Ruby, is expected to make landfall Saturday evening, according to PAGASA, the Philippine Atmospheric, Geophysical and Astronomical Services Administration. It is approaching the Philippines from the western Pacific Ocean and is projected to make landfall on the Eastern Samar or Northern Samar province. The storm is expected to skirt north of the city of Tacloban, which was devastated by Haiyan last year. 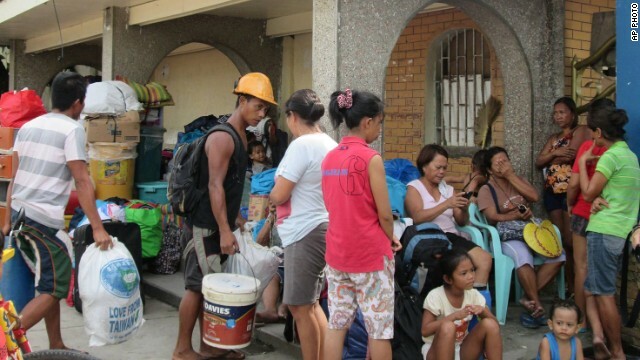 Officials in the coastal city of Legazpi expect to evacuate an estimated 75,000 people ahead of Typhoon Hagupit, Mayor Noel Rosal told CNN on Friday. 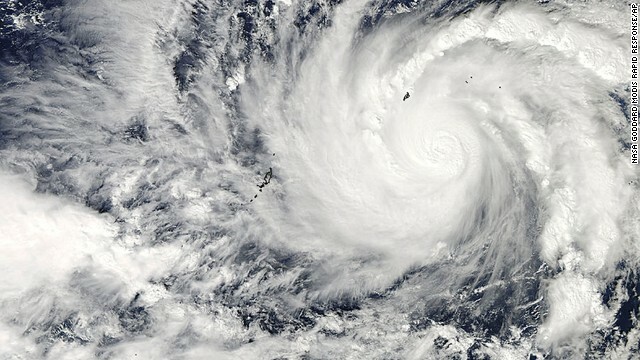 The storm lost, then regained, super typhoon status Friday. By Friday night, it was packing potentially devastating sustained winds of 240 kilometers per hour (150 miles per hour), with even stronger gusts. 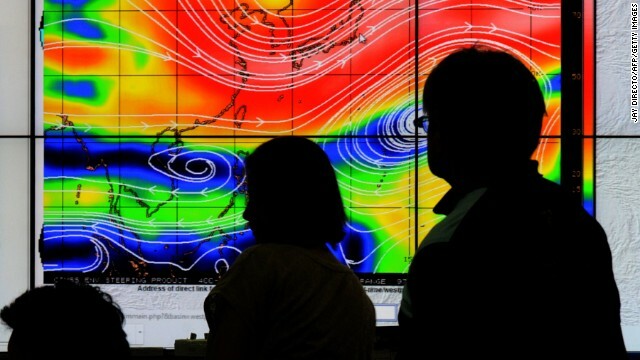 PAGASA warned of intense rainfall, warning of rainfall between 7.5 and 20 millimeters per hour and rough seas. It also warned of storm surge that could reach up to 5 meters (16 feet) high. Last year, Haiyan's massive storm surge caught many people off guard as it roared in off the Gulf of Leyte, splintering buildings and tossing large ships onto dry land. Tacloban Mayor Alfred Romualdez said they're better prepared this year, having learned the lessons of Haiyan a year ago. Residents are taking the storm warnings very seriously and most people have fled the city, he told CNN. The ferocious storm obliterated homes, smashed entire neighborhoods into tangled heaps of debris. More than 6,000 people were killed last year. Multiple domestic flights on local carrier Cebu Air involving destinations like Butuan, Surigao and Tandag on the east coast have been canceled due to weather. 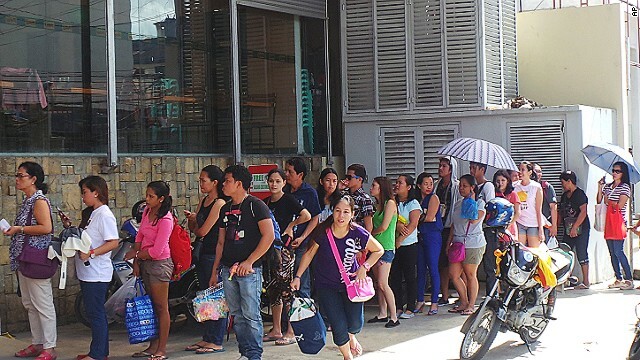 Many Filipinos took to social media to spread warnings, urge each other to prepare and pray for the country. 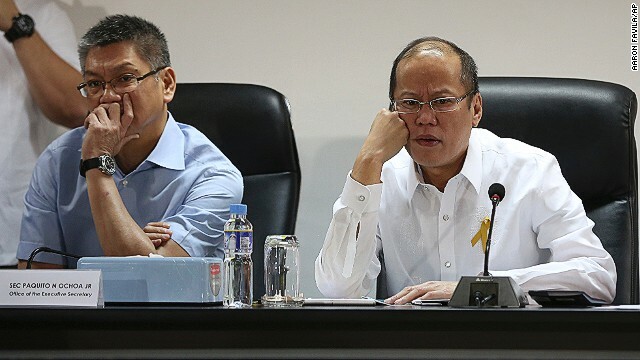 CNN's Elwyn Lopez, Judy Kwon and Jethro Mullen contributed to this report.